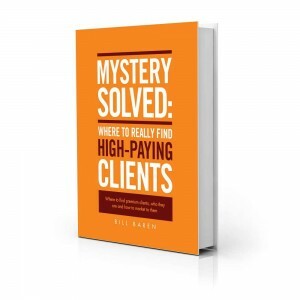 [Free Download] How to Find High Paying Clients - Coach & Grow R.I.C.H. Have you thought about what your coaching business would look like if it was filled with high paying rockstar clients? You’d be working with top notch people. And you’d be able to deeply serve those clients in a way that provides profound transformation and extraordinary results. Let’s make that happen for you! …WHEN you know where to look. This new report by my friend Bill will only be available free for a few days. So, if you’re interested in discovering how to find people who can readily afford your coaching, I highly recommend you check it out! You’re awesome and you deserve to work with rockstar clients. I can’t wait for you to find out how.